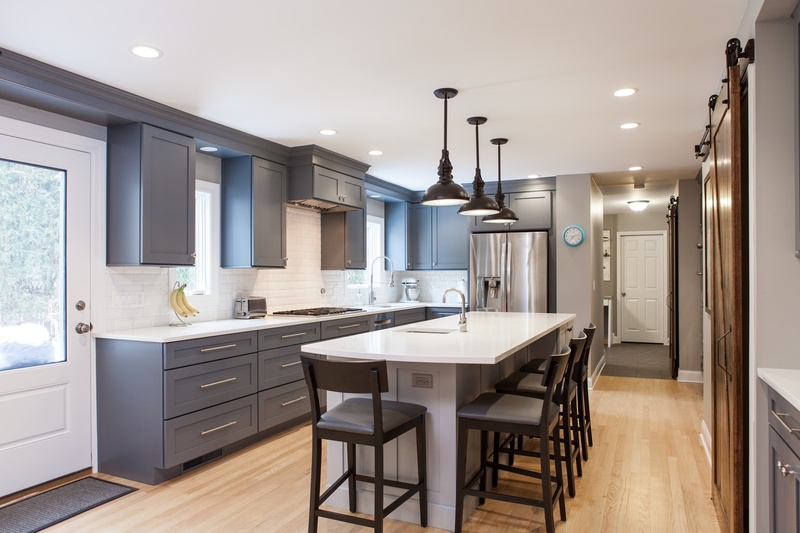 Let's take a look at all basic kitchen floor plans and discuss how you can choose the ideal kitchen layout for your Chicago North Shore area home. A large part of understanding which kitchen layout is best for your home is understanding your square footage. 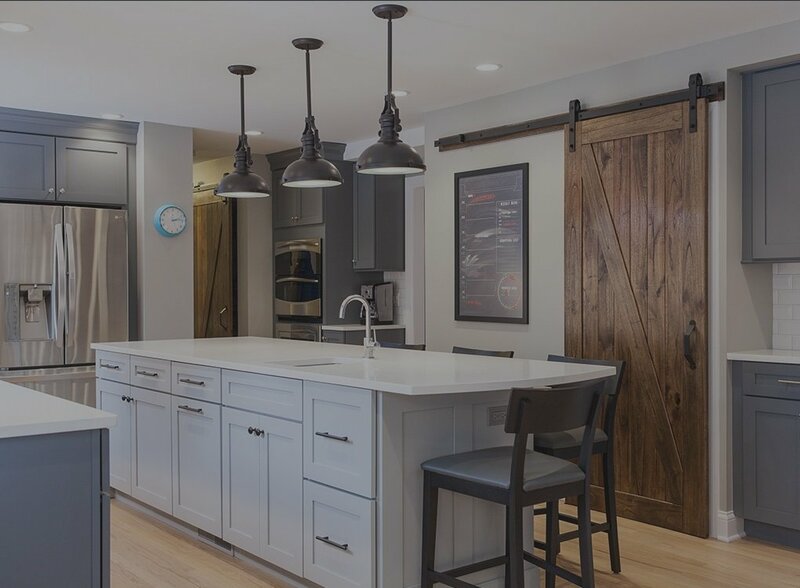 If your kitchen has abundant square footage and you choose a layout with minimalistic cabinetry, you will actually compromise workflow since your work spaces will be too far apart. If your square footage is limited, however, and you try to maximize its space by including generous storage, you’ll create an awkwardly crowded area that not even a single chef will enjoy utilizing. With this in mind, we’ve assembled a guide to help you identify your ideal kitchen layout. In homes with ample square footage, U-shaped (or horseshoe) floor plans work well. Just as their name suggests, U-shaped kitchens utilize three walls for cabinetry and counter space, leaving only one wall open to the rest of the house. 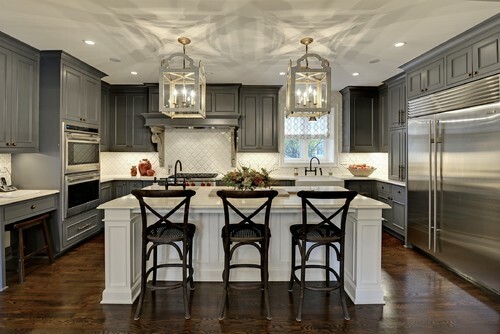 Very large kitchens do well to incorporate an island in the center of the U-shape to provide an extra prep station for multiple chefs or to avoid walking from one end of the U to the other. Another solution is to incorporate a peninsula on the fourth wall so that the U-shape becomes a G-shape. Homes with medium kitchen square footage are the most flexible in that you can get away with simplistic U-shapes or complex galleys and straight designs (see below), but there are certainly layouts that suit medium-sized kitchens uniquely. The most popular of these is the L-shaped kitchen. L-shaped kitchens cover two walls with cabinets and countertops while leaving two open to the rest of the home. Because of this, L-shaped kitchens also do well in homes with open floor plans. Islands and peninsulas are frequently incorporated into L-shaped floor plans to provide an extra work space without inhibiting flow. 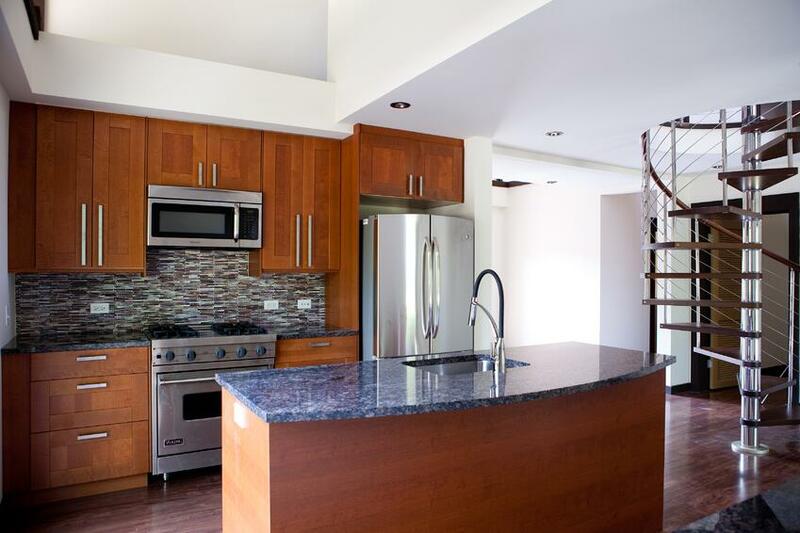 For lofts, condos, or small homes, galley kitchens and straight kitchens are your best options. Knowing which of these to employ depends on where your kitchen is situated within the home. If it’s in a transitional or centrally-located area, you may want to opt for the galley kitchen, which is essentially a walk-through with two open walls and two parallel walls of cabinetry. Galleys do a great job of keeping your floor plan open while maximizing storage and prep space. Straight kitchens, also known as one-wall or Pullman kitchens, are the ultimate space-savers. They are literally one wall of cabinetry and appliances, and while that may sound limiting, it is often the best spatial solution for small homes and can provide everything you need when arranged carefully. 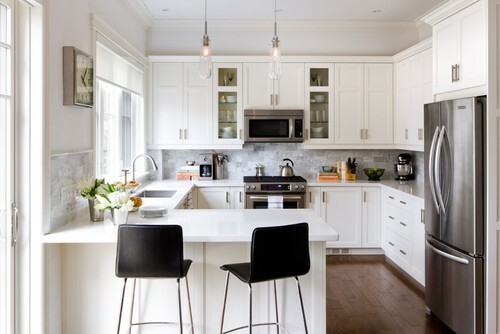 As a general rule of thumb, try to match the amount of cabinetry you install to the amount of square footage you have. Remember, however, that external factors like the number, size, and placement of entryways into your kitchen will influence the basic design layouts listed above and introduce the opportunity for creative variations. This is where consulting with your design build company can be extremely helpful.